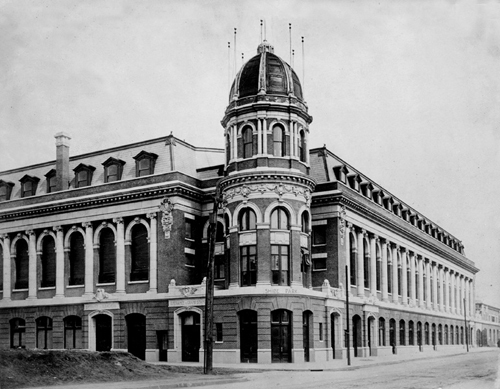 Shibe Park hosted the Frankford Yellow Jackets against the Chicago Bears on December 5, 1925 and the Yellow Jackets against the Bears on December 4, 1926. 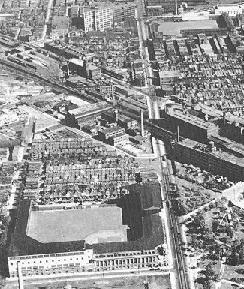 It also served as the site of two AFL games in 1926, the Philadelphia Quakers against the Los Angeles Wildcats on November 20, 1926 and the Quakers against the New York Yankees on November 27, 1926. The stadium hosted the December 12, 1925, Pottsville Maroons-Notre Dame All-Stars game. The Maroons' NFL franchise was suspended as a result of the team's participation in that contest, costing Pottsville the 1925 NFL championship. The Eagles played the 1948 NFL Championship game in a blizzard where the home team defeated the Chicago Cardinals 7-0 with the only score by a Steve Van Buren touchdown. The Eagles left Connie Mack Stadium after the 1957 season for Franklin Field. Franklin Field would seat over 60,000 for the Eagles whereas Connie Mack had a capacity of 39,000.